Do you know why the video training program only consist of 60% of professional knowledge base material? ...That is because 40% of the instructor's 37 year background consist of knowledge that is very seldom used or needed in the real word of videography or film-making. Just as the knowledge acquired from certain college courses are seldom used in the real world of your profession, but is a prerequisite in order to achieve your college degree. APV has no prerequisite and trims the fat of useless information only to focus on knowledge relevant to become a professional in your video business, trade or film-making career. 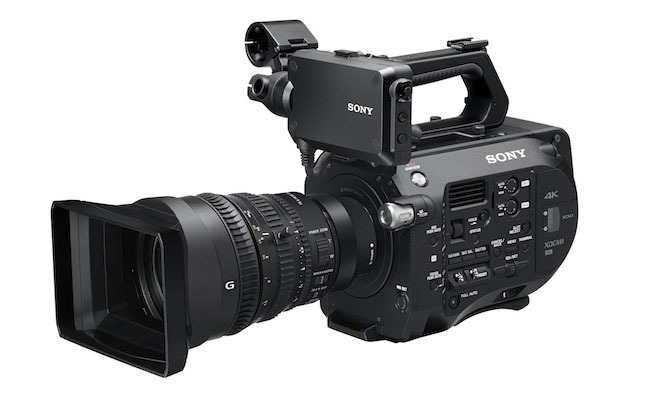 Our motto is... "Trim the Fat and Lean on Me"
Are you aware of Sony's new/updated innovative Sony FS7 35mm film camera?" In 1979 I found myself fascinated with video arts and thus purchased my first VCR (A 40 pound Video Cassette Recorder). The VHS/VCR was used in conjunction with my parents 8mm movie camera as a hobby for 10 years. In 1989 I acquired broadcast equipment and became incorporated establishing a professional video business. In 1990 I acquired academic technical training and after 23 years (2012) of a flourishing professional business, I found a unique way to give back to the community... starting a professional training program.